We are among the successful names in the industry for manufacturing and supplying Polycarbonate Stickers. The offered sticker is used for the promotion of various organizations and is displayed on the products manufactured by them. It has good adhesion capability and is visible from large distances. This sticker is available in a wide range of sizes & shapes. Established in the year 2006, Suraj Enterprises initiated manufacturing, retailing and supplying a diverse assortment of Labels, Stickers & Name Plates. The offered range is made available in different sizes, shapes, colors & designs, and comprises of Sticker Labels, Polycarbonate Stickers and Paper Stickers. Bestowed with seamless finishing, smooth surface and attractive appearance, these are used in multiple kinds of companies including domestic transport, advertising, promotions, chemical plants and pharmaceutical industries. Apart from this, clients can also avail from us printing services. Available in customized forms, these are designed and manufactured at our in-house infrastructure, enduring attributes as per global recommendations. Widely demanded in varied industries, our corporate professionals and technicians are responsible for manufacturing these products. Owing to their detailed industry knowledge and experience, our team of experts enables streamlined production at our work place. Raw materials used in the fabrication procedure are of finest quality and only after being subjected to several quality check measures, these are used in the manufacturing procedure. Availability of a wide transport network, plays an important role in successfully accomplishing timely delivery. With our firm belief to offer products with impeccable attributes, we have become a name known globally. 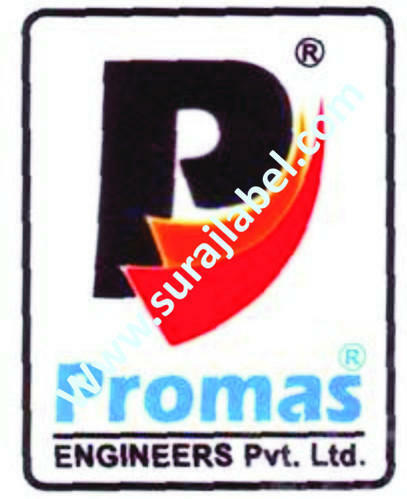 Our vast clientele is inclusive of Promas Engineers (Mahape), Switch On Industries (Ghatkopar), GPL Ltd.